Absorbing carbon dioxide while giving off fresh oxygen. 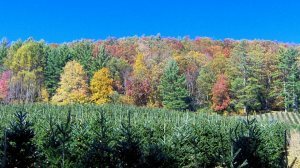 Every acre of Christmas trees planted gives off enough oxygen to meet the needs of 18 people. 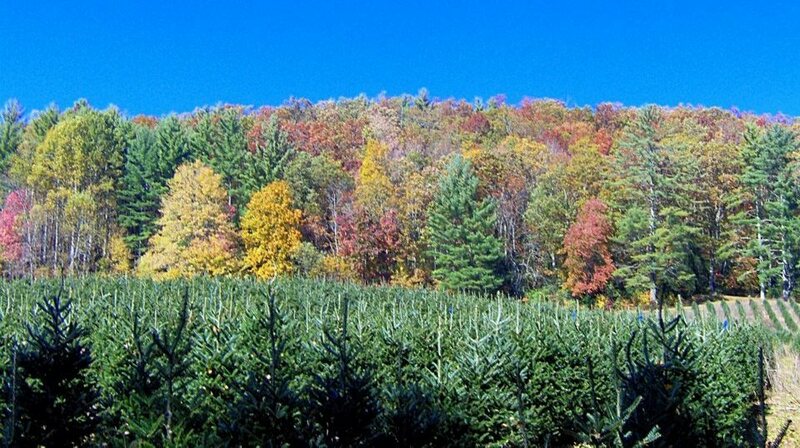 Today in America there are enough Christmas trees planted that 18 million people a day are supplied with oxygen. Stabilizing soil and protecting water supplies. Providing a refuge for wildlife while creating a beautiful scenic view. Being a sustainable crop. When one Christmas tree is cut down, one or two are replanted in its place. Reducing the manufacture of artificial trees made from petroleum-based products that use up natural resources. Artificial trees are not recyclable and will remain in land-fills for centuries after disposal. Being totally recyclable. The branches and trunk can be turned into mulch for the garden. A Christmas tree placed in the back yard will feed and shelter birds during the winter. Sunk into ponds, fir trees provide excellent refuge and feeding areas for fish. Content courtesy of North Carolina Christmas Tree Association.